As the Director of Human Resources at PYXERA Global, Melanie develops and administers human resource programs, policies and procedures that will increase the overall effectiveness of our organization. Prior to joining PYXERA Global, Melanie most recently served as a Senior Director, Head of Human Capital for a financial services firm, where she built an HR function from the ground up and led recruitment efforts resulting in 300% growth over a three year period. 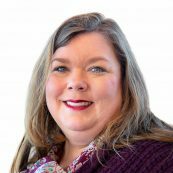 Melanie Williams is a Senior Certified Professional in Human Resources with more than twenty years of experience as an innovative leader in small to mid-size organizations. Her philosophy and approach are built on employee engagement. Ms. William’s broad experience includes benefits, compliance, employee relations, payroll, talent acquisition and management. She has spent her career in professional services and technology with an emphasis on integration and change management for businesses in startup, growth and mature environments.